Tickets are now on sale for what promises to be a wonderful evening of French music at Winchester Cathedral. The mainstay of the programme is Gabriel Fauré's Requiem, surely the best-known of his large-scale works. Composed in the late 1880s (and with revisions in the following decade), the work is scored for soprano and baritone soloists, chorus, orchestra and organ. 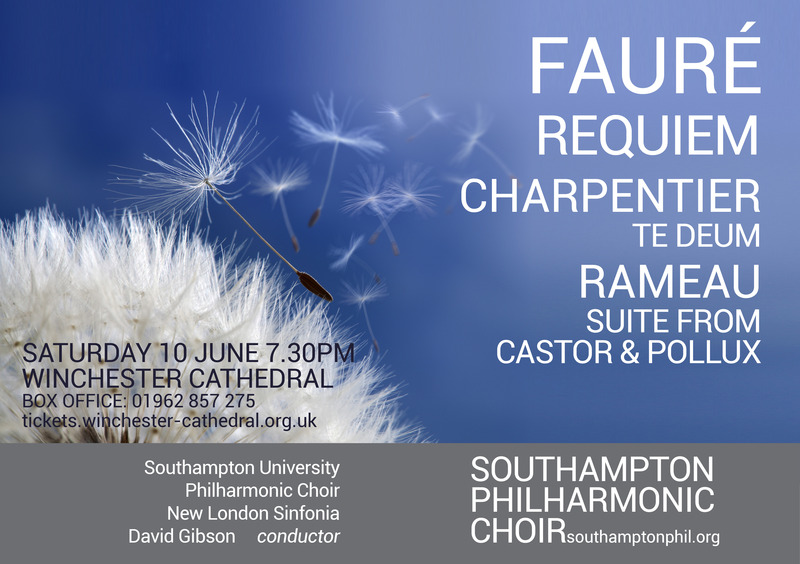 Also in the programme are the suite from Jean-Philippe Rameau's opera Castor et Pollux, and Marc-Antoine Charpentier's Te Deum, a showy and sprited work that is particularly renowned for its joyful prelude – adopted by the Eurovision Song Contest as its theme tune! £13, £18, £26 and £32, with concessions, including a generous group concession (buy 5 tickets and get a 6th ticket free – applies across all ticket prices, but the concession is applied to the ticket of lowest value in your order). Tickets can be bought directly from the Cathedral Box Office (open Monday – Friday, 10am – 4.30pm, Saturdays 11am – 3pm, and until 4.30pm concert days), or online. Bookings by phone (01962 857275) are subject to a booking fee of £1 a ticket, plus a 75p postage fee if required. Enquiries can be made by email (boxoffice@winchester-cathedral.org.uk.) but it is not possible make bookings this way, nor is it possible to make provisional bookings.